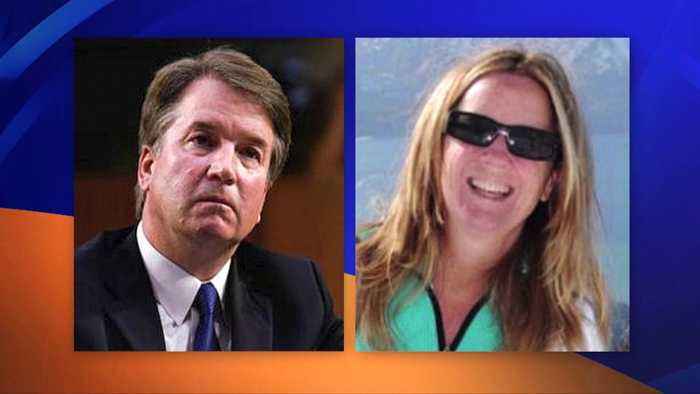 A funny thing happened on the way to the Brett Kavanaugh Democrat political fit job, according to Daily Caller, a recent Huffington Post poll shows that only 26% of individuals find Kavanaugh’s accuser Christine Blasey Ford as credible. 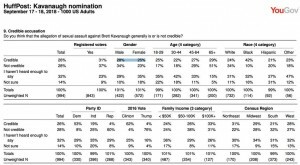 Only 4% of Republicans find her credible and more importantly, only 19% of Independents find Christine Blasey Ford’s accusations toward judge Brett Kavanaugh as credible. The American people know what has happened to Kavanaugh was an 11th hour political Hail Mary by Democrats to sabotage Kavanaugh’s vote to the SCOTUS. The Huffington Post released new polling showing that the American public doesn’t generally believe Brett Kavanaugh’s accuser is credible. 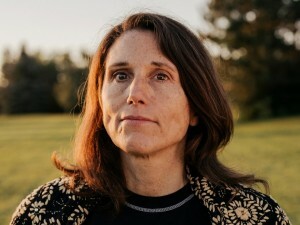 The same poll also showed that more men than women believe she is credible. The study found that the sexual misconduct allegation against Kavanaugh has had “virtually no effect on public support for his nomination.” 35 percent of those polled that they’ve heard a lot about the accusations even after wall-to-wall coverage by national media over multiple days. “Fewer than a quarter of respondents to the latest HuffPost/YouGov survey say they’re following Kavanaugh’s confirmation hearings very closely,” the study found. The HuffPost/YouGov polling asked a statistically significant cross-section of the American public if the accusations made by Christine Blasey Ford were “credible. 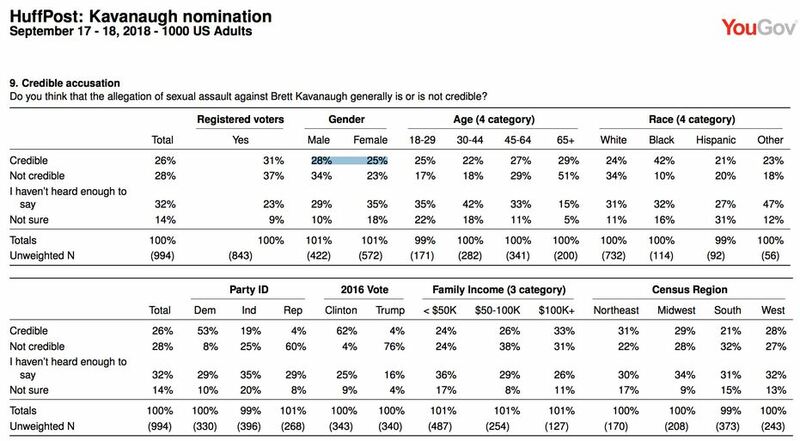 “Do you think that the allegation of sexual assault against Brett Kavanaugh generally is or is not credible?” The polling asked. The responses showed that 28% of males and 25% of females believe the allegations are credible.